Christmas decorations hit the stores. And vegan bloggers/writers/authors everywhere gear up for a month of vegan food. (Also affectionately known as "VeganMoFo"). modest. Maybe every other day. Maybe only on week days. Certainly as often as I feel like it. But probably not every day. So, you want to know a little about me? I am vegan. 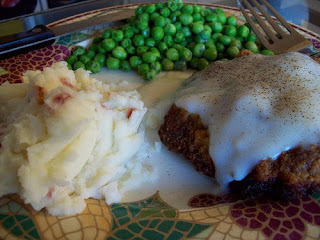 I cook vegan, teen-friendly homemade, "Mom" comfort food. What else? I work two or three jobs, I forget how many sometimes. I do the "Mom-to-Teenagers-Without-Cars" thing. I take online classes. Tutor. And cook. Mostly things with gravy. Yes. My theme this year is, once again, GRAVY. "Vegan MoVeGro; A Month of Vegan Gravy" Or something like that. hahahah. Because, seriously, EVERYTHING is better with gravy. Every THING. OK. OK. I'm also planning to intersperse with sauces and cook-book reviews and restaurant reviews (still gravy-related of course) too. And don't panic if you see a few recipes similar to last year. (*GASP*) It's not that I'm un-original. I've revamped and improved some of last year's favorites, as well as adding many, mostly original, new gravy recipes too; trying to include some that are low-fat, gluten-free and/or soy free, to make EVERYONE happy. Stay tuned for awesomeness. Or if you want to read about more than just vegan GRAVY, (but really, why would you?) 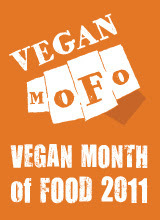 check out the VeganMoFo site for a list of ALL the completely awesome, non-gravy bloggers participating this year! As always, love your blog! Looking forward to a month of gravy! I love that you are doing a second year of gravy, it's great! You're the gravy queen! I agree with Fanny, two years running of gravy is awesome! Happy MoFo! I should probably eat more gravy.